Are there such thing as secret pho ingredients? Updated 03-15-15. Let's take a look at what may constitute a pho secret ingredient. Pho is as much about tradition as it is about adaptation. At the adaptation end, when you have something as good and as easily customizable as pho, you can't stop people from messing around with it. And they do. That's the "fusion" extreme of pho and I've seen and heard all kinds of ingredients thrown in the pot in the name of creating better pho. At the more traditional end of pho, a good pho broth should have a certain number of main ingredients that make up its unique fragrance and taste, making pho... well, pho. People don't deviate too much from the star anise and cinnamon spices, the charred ginger and onion, the low and proper simmering of beef bones, and the fish sauce. We Vietnamese love our fish sauce which itself is a flavor enhancer, so we use it everywhere and pho is no exception. And what about MSG? Regardless of your personal view on this versatile ingredient, MSG is also a flavor enhancer, and it is cheaper than fish sauce. So sure, there are more than a few pho chefs who use it quite generously. Used in correct amounts, MSG can do great things for a pho chef. Beyond these, there are other ways to add flavors to pho. These are actually well-known ingredients or techniques in Vietnamese cooking, especially those used in many Vietnamese soups called "canh" that accommodate the typical Vietnamese meals. Dried shrimp for sale near Ben Thanh Market Saigon. Courtesy Wikipedia. There's Vietnamese dried shrimp (tôm khô) and Vietnamese dried squid (mực khô). Both of these ingredients can be used to impart the umami taste and enhance flavors in any dish. Normally only a handful amount is needed and the nice thing is your dish does not come out tasting fishy at all. The resulting flavor of the dish is 10 times better than without it. 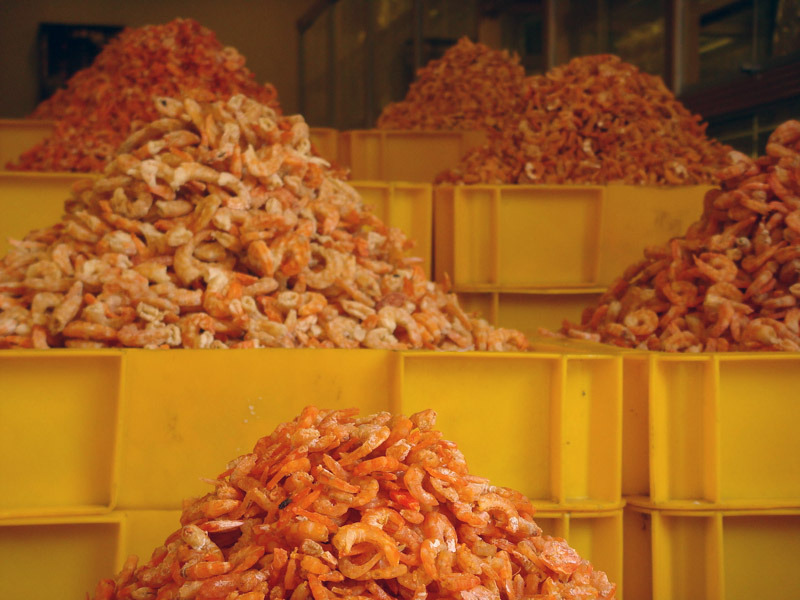 The dried shrimp is more commonly used due to its lower cost, and both dried shrimp and dried squid can also be enjoyed as snacks by many people as well. By the way, tôm khô should not be confused with "tôm kho" which is the delicious shrimp with shell on (most of the time) simmered in caramel sauce and served over steam rice. 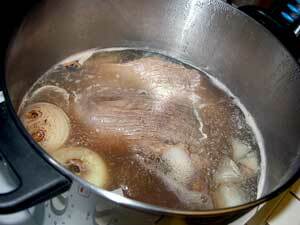 Beyond the dried shrimp and squid, daikon or various other types of radishes and vegetables can also be used. The chayote (su su in Vietnamese,) cabbage, and the reliable carrots can also add flavors. However, daikon, cabbage and chayote are more popular because they don't tend to overwhelm the taste of the pho broth like carrots do. Again these are meant to be flavor enhancing agents and their use should be regulated. 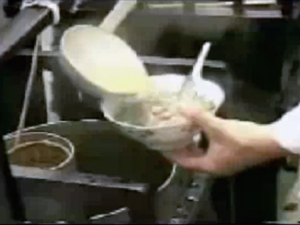 Remember, you are making pho, not any soup. 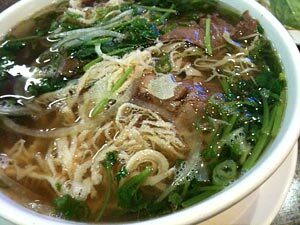 In the end, I think the best and most reliable secret ingredient for pho should already be in a typical pho recipe. 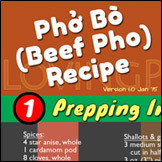 Beyond using the proper amount of spices and flavoring with good techniques, the best assurance of a good pho broth is using the right amount of beef bones, maybe adding oxtails, plus using the right amount of time and technique to make the broth. 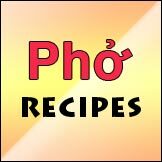 Successful restaurants who've been in business for a long time and serving a large client base know the right combination, proportion and technique required by a classical/traditional pho recipe, and that is their secret. They may add something here and there to personalize their broth, but that's not as important as mastering the consistency that makes their pho great. 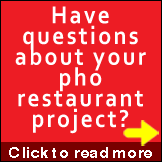 When you visit pho restaurants, you do taste variations in the broth from one pho restaurant to the next, but they all have to keep their pho on a straight and narrow path to ensure quality and consistency, while keeping cost at an acceptable level. I've done all the things mentioned above and the results are all excellent. But not all are appropriate to serve to the mass. Personally, I'd like to stay with the classic, however, and spending the time to perfect my techniques. As a home cook, cost is not much of a concern so you may try a few of these yourself. You may also experiment with some other ingredients if you wish and see what works for you and decide what deserves a permanent place in your recipe. As an aspiring restaurateur looking for something to differentiate yourself, my advice is to get your technique down with the classic pho. After that you can do whatever you wish. You'll be surprised how much people will appreciate a bowl of classic pho done right, and there's no need to look for any secret. The secret is already right there in your kitchen. So in the end, the secret is there's no secret? What a letdown right? 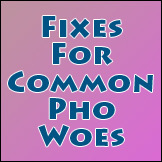 The message I'm trying to get across is there's no quick fix for good pho. Like in other endeavors worth pursuing, you'll just have to respect what you do and master it yourselves. Here's chef Charles Phan in an interview with The Splendid Table's Lynne Rossetto Kasperon on "The secret to real pho is the stock." You can also listen to the interview below. 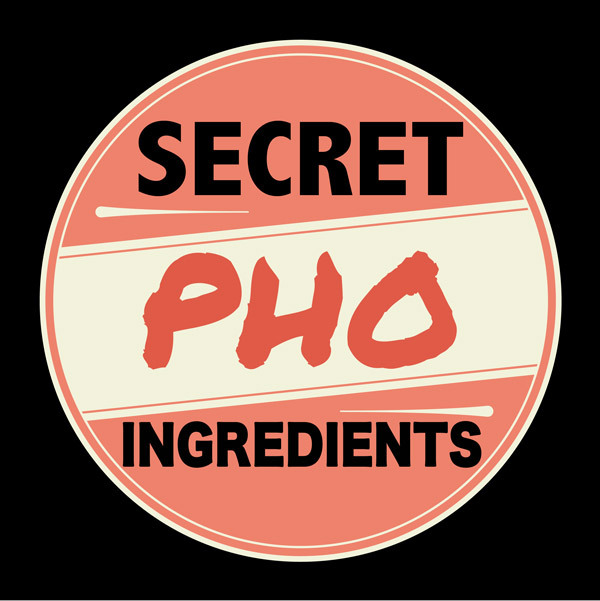 Have a pho secret you want to share? Please use the comment section below.